Welcome back fantasy freaks and geeks! One of the most frustrating and demoralizing events for a Fantasy owner is to receive a notification that one of your best players just suffered an injury. After all of the time and dedication to research that you endured, you participated in your draft, and you feel relatively confident in your roster. However, then your stud gets hurt. I don’t want to mention any players’ names, because I don’t want to jinx anyone! Injuries happen in all sports. The experienced Fantasy owner does not cry or give up! They come up with a contingency plan. They already know their best players’ backups. Astute owners will know if the reserves are worthy of a waiver wire move. If not, those owners will keep up with the latest player trends and who is available. After reviewing the notification, they are heading to the league site to pick up the required player(s) to make up for any loss. Those type of owners wins championships! In addition to monitoring the player trends and the waiver wire, savvy fantasy owners are always keeping up with the MLB injuries. Who is injured? Will that player play? How long is that player going to be on the IL? Well, I am here to help during Spring Training. I will provide three editions of an Injury Report that will display who is hurt and what their current status is along with their projected return. Who has already been ruled out for the 2019 season? Which players will return by Opening Day after rehabbing from injuries? Which pitchers should Fantasy owners be concerned about going into their drafts? Find out the answers to those questions and a whole lot more in the 2019 Fantasy Baseball Injury Report. Salvador Perez #Royals to miss 2019 season (Tommy John surgery). 2018—3.0 Box-Toppers points, 6th among AL catchers. 2017—7.5 B-T pts, 1st among AL catchers. He was 3rd among AL catchers in 2014 (4.7 pts) & 2015 (4.5 pts). His 23.7 B-T pts from 2014-18 is 1st among AL catchers. Just when you think the catcher position can’t look any uglier, here comes the horrific news about a top 10 catcher. Salvador Perez was forced to undergo Tommy John surgery to repair a torn ligament in his right elbow. The procedure will sideline Perez for the upcoming 2019 season. If you drafted early and took Perez, my condolences, a productive fantasy catcher is hard to find and even more difficult to replace. 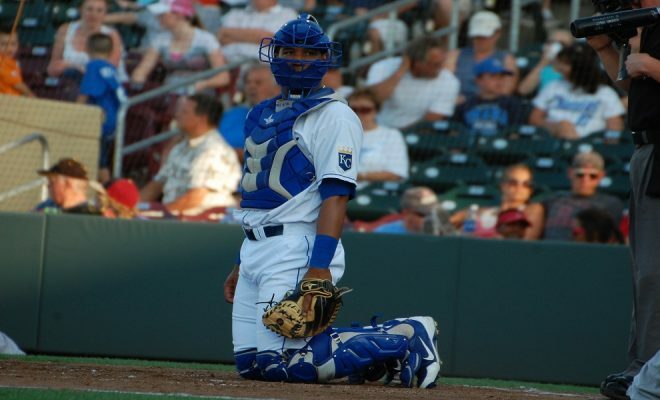 The Royals reached an agreement with veteran Martin Mondaldo to take over catching duties. Nothing to see here fantasy wise. If you are still looking for help on what to do with the catcher position, look no further than my 2019 Fantasy Baseball Catcher Preview: What’s The Catch? Fantasy owners have been keeping a close eye on any updates concerning Jose Altuve. He missed more than a week of games due to a sore side. Fortunately, Altuve suited up this weekend and played five innings without any incident. I think owners can go back to trusting Altuve again for their upcoming drafts. Well, at least for now. Lindor suffered a right calf strain in February, which placed his availability for Opening Day in doubt. Fantasy owners had to be concerned with the sure-fire first-round fantasy draft pick and the amount of missed games for the All-Star shortstop. Lindor was able to participate in his first Spring Training action this week and did not suffer any setbacks. Lindor should be playing in the first few weeks of the season and help to lead the Indians and your fantasy roster to a lot of wins. Seager had Tommy John surgery last May and arthroscopic hip surgery in early August. It looks like all systems go for Seager to be the Dodgers Opening Day shortstop. Fantasy owners should not forget about him on draft day. He is one of the top fantasy shortstops when healthy. Some guys just don’t have any luck. Sano suffered a severe gash after celebrating in his native Dominican Republic. The procedure to fix this cut will keep the Twins third baseman out for the first month of the 2019 season. Sano came into Spring Training with a new slimmed-down look and was the talk of camp. We will have to wait a little longer to see the new Miguel Sano. The Yankees expect outfielder Aaron Hicks (back) to begin the season on the injured list. He has had only 10 Grapefruit Leagues plate appearances, and Hicks continues to receive cortisone injections to assist his return rapidly. Barring any setbacks, Hicks is projecting to be back on March 28. Look for both Greg Bird and Luke Voit to make the Opening Day roster. The Yankees will shuffle their lineup until Hicks returns. Mallex Smith has not played since the start of camp with an elbow strain. He recently took batting practice and resumed throwing, but he won’t travel to play in the season-opening series in Japan. Fantasy owners should expect Smith back for the Mariners opener on March 28. Ohtani is projected to return in May in his attempt to rehab from Tommy John surgery. He will only play DH this season and has already been practicing in soft-toss hitting drills. Ohtani will finish as a top 100 player this season, please draft accordingly. Uh oh! Folty experienced elbow soreness after his Spring Training debut back on February 24. The Braves have already determined that he will not pitch Opening Day. The right-hander is coming off a career season, which he produced a 2.85 ERA and 202 strikeouts. Foltynewicz threw a bullpen session Sunday, and the evaluation on Monday will be crucial to the length of his potential absence. 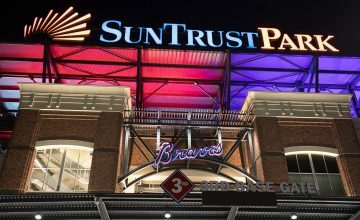 With fellow right-hander Kevin Gausman also experiencing health concerns, the Braves might have to go out and get an insurance policy. Dallas Keuchel and Gio Gonzalez are still looking for employment. Also, the Braves have a factory of exciting young hurlers to choose. Stay tuned. As I discussed in The Fantasy Six Pack Hour Podcast: 2019 Pitcher Preview Kershaw seems to have a permanent spot on the Injury Report. The three-time Cy Young award winner has been dealing with shoulder inflammation throughout Spring Training. The southpaw is not expecting to be ready to pitch on Opening Day. The continued doubts of his availability should make fantasy owners hesitant to draft Kershaw. However, he is still getting selected as the 54th overall players, according to Fantasy Pros. I can’t depend on Clayton Kershaw, and neither should fantasy owners especially at the draft price. Jimmy Nelson has taken a full year off in his recovery from elbow surgery. After a minor hiccup at the onset of Spring Training, Nelson came in Saturday and threw three scoreless innings and threw 40 pitches, which is the highest output in his recovery. Most impressively, he was hitting 95mph consistently. The Brewers will slowly build up his arm strength. However, it looks like it won’t be with the Brewers. Look for Nelson to be pitching games at Miller Park sometime this May. Nelson makes a great stash candidate on your roster. The New York Yankees ace is shut down after being given a pain-killing injection to fight inflammation in his right rotator cuff. The team projects that he will not be available until May, or even June. Luis Severino won’t even start playing catch again until sometime next week. The Yankees just recently reached out to free agent southpaw Gio Gonzalez to bring him a veteran arm in the rotation. Currently, they have youngsters Domingo German, Jonathan Loaisiga, and Luis Cessa attempting to claim the open spot in the Yankees rotation. Both German and Cessa have been impressive this Spring. Look for the Yankees to try one of the younger pitchers first and hope that Severino returns no later than May. If not, we will see Gio Gonzalez or maybe another free agent southpaw Dallas Keuchel in pinstripes in 2019. Strop has been injured throughout Spring Traning with a hamstring injury. He was the favorite to take over the closer’s role as last year’s closer Brandon Morrow is recovering from elbow surgery. Strop had 13 saves while Morrow was out last season and was looked upon as the next man up while Morrow continues his slow recovery. The Cubs have other options to close if Strop is not ready by Opening Day. They have two veteran arms who have closing experience in newly acquired Brad Bach and Steve Cishek. Additionally, they have fireballer CJ Edwards, who averaged 11.6 strikeouts per nine innings last season. And don’t forget Craig Kimbrel is just a phone call away. The Cubs closer role is a situation for fantasy owners to keep tabs on as this is a fluid situation. Mike Foltynewicz SP Atlanta Braves The Atlanta Braves are hoping that Folty is available by end of April. Fantasy owners need to monitor this very closely as we enter draft season. Kevin Gausman SP Atlanta Braves Beware! Experiencing shoulder issues and has been rocked this Spring. AJ Minter RP Atlanta Braves Shoulder issue delaying the season as he will start the season on the IL. Que Arodys Vizcaino on your draft board. Ryan Brasier RP Boston Red Sox Looking to compete with Matt Barnes for the Red Sox closer role. However, he has yet to pitch this Spring. Monitor his outing this week. Brandon Morrow RP Chicago Cubs Morrow is out for at least the first month of the season while rehabbing from elbow surgery. Cubs closer role is wide open. Pedro Strop RP Chicago Cubs Injured hamstring prevents him from possibly starting the season as the Cubs closer. Morrow is coming back in May. Monitor situation. Francisco Lindor SS Cleveland Indians Lindor is recovering from a calf strain and just played in his first Spring Training game. Looks like we can breathe a sigh of relief. Jose Altuve 2B Houston Astros Altuve was kept out of games for over a week due to issues with his side. However, he just played five innings in a game without incident. Looks like he will be fine for the start of the season. Josh James RP Houston Astros James was a hot commodity coming into Spring Training but a quad injury thwarted his opportunity to win a spot in the rotation. Someone you should definitely stash on your roster. Salvador Perez C Kansas City Royals Out for the season due to Tommy John surgery. Clayton Kershaw SP Los Angeles Dodgers Not again? Great pitcher? IF and when will he pitch? Cross your fingers! Corey Seager SS Los Angeles Dodgers Looks to be healthy and will start at SS on Opening Day after going thru two surgeries in offseason. Shohei Ohtani DH Los Angeles Angels Ohtani will only DH this season. Could expand his totals from last season. He wont be back until May. Jimmy Nelson SP Milwaukee Brewers Nelson won't return until the end of April. Has looked great this Spring in his recovery from shoulder surgery. Miguel Sano 3B Minnesota Twins A freak accident caused a gash that needed surgery. Will miss the first month of the season. Didi Gregorious SS New York Yankees Still rehabbing from Tommy John surgery. Won't return until All-Star break. Teams with deep rosters should stash him. Aaron Hicks OF New York Yankees Has back issues that will force Hicks to start the season on the IL. Hoping to return end of March. 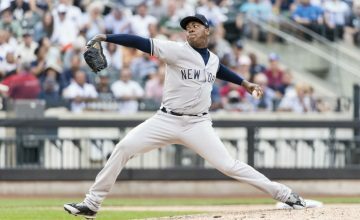 CC Sabathia SP New York Yankees With Severino also ailing, the Yankees could use another arm in the rotation. Probably won't see CC until end of April. Luis Severino SP New York Yankees Yankees are concerned that we won't see Severino until May at the earliest. Leagues with IL can grab and stash. Kyle Seager 3B Seattle Mariners Expected to miss the first half of the season after Seager required surgery to repair a tendon in his hand. Mallex Smith OF Seattle Mariners Wont play in the opening series in Japan, but looks good to go in home opener. Keep rolling with Smith. Carlos Martinez SP St. Louis Cardinals Martinez is experiencing shoulder issues and looks to be on the shelf for considerable time. Monitor the situation but dont hold your breath. Alex Reyes SP St. Louis Cardinals Great stash candidate. We will see Reyes contribute this season. It's a matter of when not if. Michael Taylor OF Washington Nationals Taylor has a sprained knee and hip. His timetable for return is not known at this time. 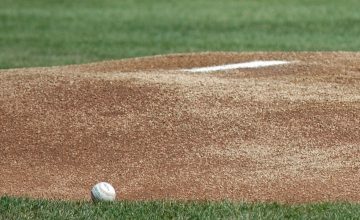 Check out the rest of our great Fantasy Baseball content as the 2019 season approaches.